On March 1, 2018, Norco deputies initiated an investigation into a missing person by the name of Jannette Manila-Garcia, age 54. Jannette Manila-Garcia was last seen in the area of Western Avenue and 2nd Street, in the city of Norco. Jannette Manila-Garcia is described as follows: Hispanic female, 5’-1” tall, 150 pounds, brown eyes and shoulder length brown hair with blonde highlights. 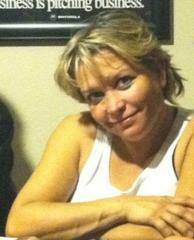 Jannette Manila-Garcia was last seen wearing a red t-shirt and blue jeans. Jannette Manila-Garcia is not known to wear any jewelry and does not have any visible scars or tattoos. Jannette Manila-Garcia is not known to suffer from any medical or mental health conditions. Jannette Manila-Garcia is known to frequent the cities of Norco and Fontana. According to family members, Jannette Manila-Garcia’s disappearance is uncharacteristic for her. Norco detectives are currently working on leads but are asking for your help. Anyone who has seen Jannette Manila-Garcia since her disappearance, or anyone with information as to her whereabouts, is encouraged to contact the Detective Bureau at the Jurupa Valley Sheriff’s Station at (951) 955-2600.